Panama could be described as an ‘up and gone already’ destination having proved very popular with American tourists and expats for a number of years now but actually it is very easy to get off the beaten track in the country and it is still a new destination for backpackers. The country is very much at a geographical crossroads being at the tail end of the North American continent and the beginning of South America proper. Panama is very much part of Latin America with Spanish being the official language. Panama is often overlooked by backpackers and independent travelers who seem to prefer Costa Rica and the new darling of the gringo trail, Nicaragua. This is a shame as Panama has a lot to offer and isn’t really that much more expensive than Nicaragua and similar in cost to Costa Rica. As we mentioned before Panama is very much the crossing point between South and Central America and it’s where you can find the Panama Canal, an amazing feat of engineering which carries ships from the Caribbean to the Pacific, saving them a rather long round trip down round the bottom of Argentina. It’s geographical position has been fundamental in shaping the nation there today. The local people are very friendly and proud of their country. Central America for Solos – Take a bus! Is Panama Safe for solos and females? Well lets take a look at what various governments say about travel to Panama. The British government travel website is not too alarmist about Panama suggesting that all but a few areas are unsafe to travel, particularly down near the Colombian border which is possibly one of the unsafest travel areas in the World! The US Govt are a little more cautious about travel to Panama citing a few more areas that are currently deemed unsafe such as the Mosquito coast area. We consider Panama a safe country for backpackers but solo travel safety precautions should always be taken no matter which country you are visiting. For cheap sleeps you can camp if that’s your thing, there’s no law against wild camping but don’t leave a mess if you want to stay popular. You should always be alert too if you decide to wild camp, indeed this should be the case in any country. If you want to sleep in a more solid structure try looking for a lodge, particularly in the countryside, which will be basic but reasonably priced. You might like to check out Booking.com which covers much of the country as does Hostel World too. How much can I get a single room for in one month’s time? There were many double rooms too at around $30 a night and for those on an extreme budget you could have yourself the following deal! Surfing is very popular in Panama with Pacific and Caribbean coasts and lots of pumping swell. The main form of transport around the country is bus or minibus, some areas are served by boat (some by canoe!) It is possible to hire a car relatively cheaply – around $25 a day. A meal will set you back in the region of $3 if you eat local produce consisting mainly of meat and rice with salad. In the cities there is a much greater choice and in the villages even less so but the price drops along with the selection wherever you are. Finding somewhere to stay is cheap as we have mentioned before so Panama can really be a great budget destination providing you don’t get too carried away with activities. You may wish to check out our travel budget guide to Panama to help you work out a budget for your visit. Looking for a Panama tour group that is solo friendly? Check out some of the companies below for their latest Panama trips! Intrepid does a number of trips to Panama and also longer trips through Central America that ends or starts in Panama. We highly recommend them! They are suitable for people from all countries, ages and particularly solo travelers! G Adventures also covers Panama in their massive portfolio of trips in the Americas. They are for people of all countries and get rave reviews from younger solos! Best time to visit is during the United States winter specifically from December through April when the rainfall and temperatures are at their lowest. Of course being so close to the equator Panama is still hot this time of year but less humid. Beaches, islands, the weather, the fast paced capital, to learn Spanish and to go trekking and diving. Not forgetting the man made marvel that is the Panama Canal! More and more airlines are flying into Panama. 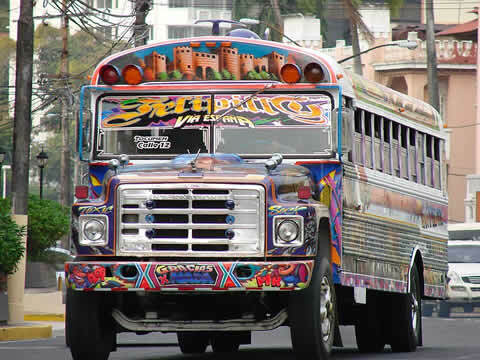 You can travel overland through Central America by the extensive bus networks. You can fly from a number of cities in the US and also from Mexico. Don’t even think about traveling overland from Colombia! If you do then be aware that you might be taking on a life threatening trip. You can fly direct from Peru and Colombia although there is not much competition on these routes so could be quite expensive ways to travel to Panama. Indeed you might be better off flying all the way up to Florida from South America and then back down to Panama. There are some direct flights from Europe to Panama. Iberia flies direct from Madrid to Panama City but when we looked up flight on Google Flights for the month of may we could not see any under $1000 one way. It will almost certainly be cheaper to fly to Panama via the United States if coming from Aisa, Europe, Australia/NZ or the Middle East. 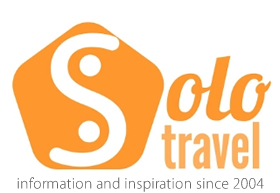 Welcome to SoloTravel.org – information and inspiration for the solo traveler. Traveling alone is becoming increasingly commonplace these days, and no longer a niche style of travel. How solo backpacking has changed since the 90s. What happens if I forget to buy travel insurance?